Tøi kompletní testy pro pøípravu na zkoušky. 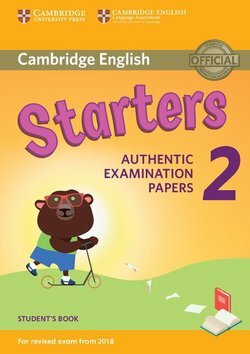 • The Answer Booklet familiarises teachers with the test and marking scheme, and contains an overview of the relevant test, a comprehensive key, examples of the type of interchange to expect in the Speaking test and a vocabulary list. Texty uvedené zde v detailním popisu se mohou týkat kompletní øady, tedy všech komponentù (SB, TB, Audio CD atd..)!